Let's face it. One of the worst television news bits we encountered since the end of the Sopranos was the moment Mad Men was sent on hiatus. The reality of having to wait for Don Draper, dry martinis, and Joan and Betty's immaculate up-dos to re-enter our cinematic lives was far too long. Although the glorious news that the wait's almost over (Season 5 airs March 25th on AMC! 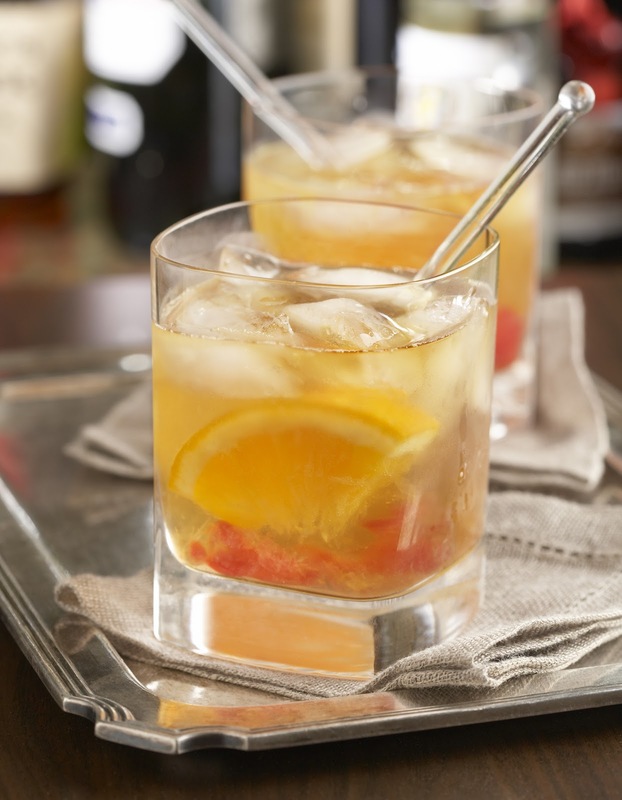 ), our impatient (and insatiable) selves can barely hold over for a glimpse of Don nibbling on Oysters Rockefeller at Grand Central Oyster Bar, Roger Sterling guzzling down a proper Sidecar at PJ Clarke's, or the sight of Betty shaking things up with a Tom Collins at bridge night until then. That's where the Unofficial Mad Men Cookbook comes in. Authors Judy Gelman and Peter Zheutlin carefully scanned and selected some of the paramount recipes from the haute ad-men era, including cocktails recipes like the 21 Club Bloody Mary, the essential Martini, a Blue Hawaii, to appetizers for canapés, entree recipes for dinner (think chicken Kiev or pan seared rib eye), and even dessert classics, like pineapple upside down cake. The Unofficial Mad Men Cookbook isn't simply recipes, but a historical account and Mad Men episode guide that pairs scenes from each season with every recipe, breaking down the when, where, and who that were eating and drinking these retro hits. 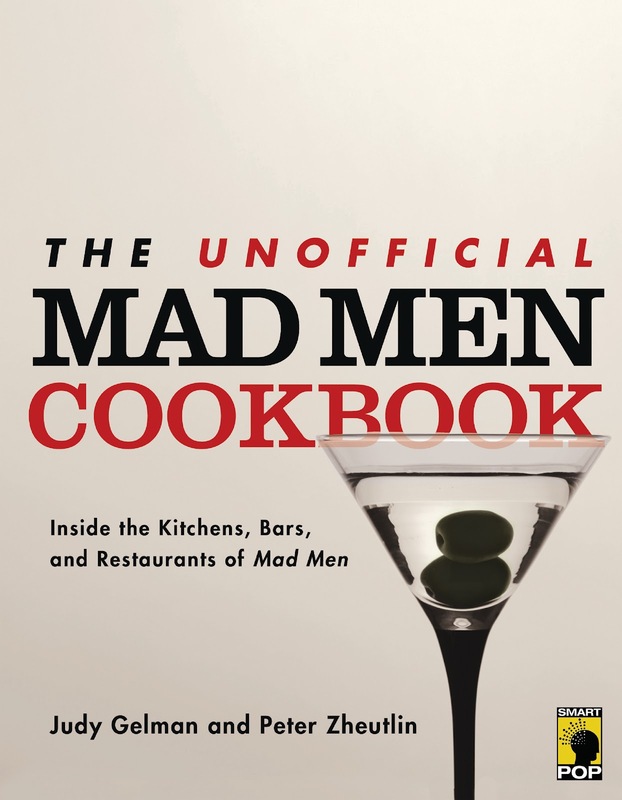 With the impending airdate for season 5 quickly approaching, make sure to enter this Mad Men Unofficial Cookbook Hostess Giveaway to brush up on your Mad Men trivia and hone your craft on the perfect martini, just in case Don Draper knocks at your door. 1. Leave a comment on the post answering: your favorite Madmen cocktail or 60's recipe. The contest closes in one week (12 pm EST). Winner will be selected on Monday, March 12th, and will be emailed that day. Mark your calendars: Mad Men's 2-hour premiere airs Sunday, March 25th on AMC. Good luck, and many thanks to The Unofficial Mad Men Cookbook authors, Judy Gelman and Peter Zheutlin! Yield: 1 drink. Don Draper not included. Mai Tai FTMFW. Please enter me! For me it has to be the ever popular MEATLOAF! It became popular in the 60's and is still going strong today as one of the top comfort foods out there! Ooo...I'll take one of Peggy's Brandy Alexanders, please! 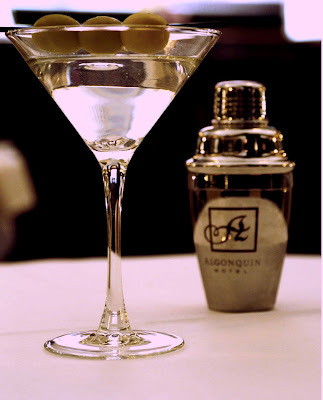 I always love a classic martini! My favorite drink there is; a Bloody Mary! Extra spice please.